Summer's not even begun, but we wanted to be sure you put theWindflower Farm open house on your calendar. This year, it takes place the weekend of August 25—26 (coinciding with the county fair and best weather for camping and Battenkill River swimming). The farm is about four hours north of here, close to the Massachusetts and Vermont borders. 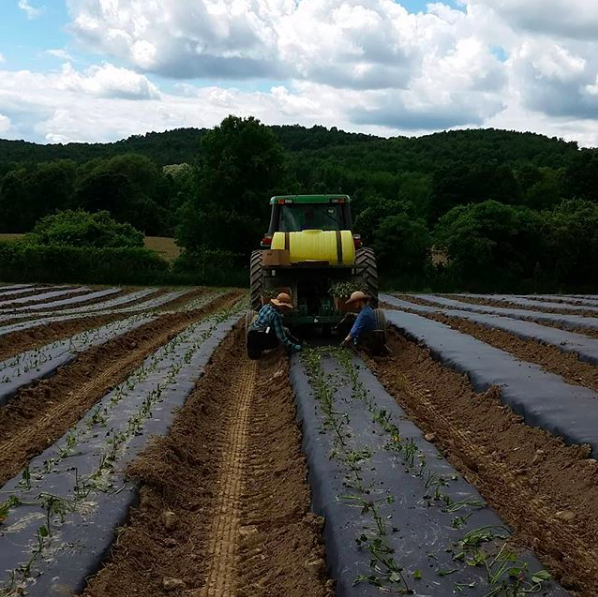 On Saturday afternoon, Ted gives tours, so we can all get a look at the baby greens waiting to be transplanted into theground, the long tunnels of ripening heirloom tomatoes, and the mounds that hold potatoes and squash. You can pitch a tent anywhere on thegrounds and take advantage of the most civilized outhouses we've ever seen—they smell like the Plaza Hotel, contain copious reading material, and are larger than our first New York City apartment! (There are also, I think, nearby B&B options.) On Saturday night, bring a dish for a potluck. End the evening around the bonfire, and wake up Sunday morning to a delicious farm breakfast cooked by the Windflower Farm folks. Take a tour of the Davis farm, where you get your eggs and (for winter share members) maple syrup. Then Ted will give you directions to a nearby swimming hole. Best of all, you can spend time with other CSA members from our own and from Ted's other CSAs. Kids especially love theweekend on the farm and find plenty to do. If you're inclined to stay away for more than a weekend, there are lovely state parks in nearby Vermont, and we have successfully combined thefarm weekend with a subsequent trip to the Williamstown Theater Festivaland the Norman Rockwell Museum! The New York State Fair is that weekend, too. 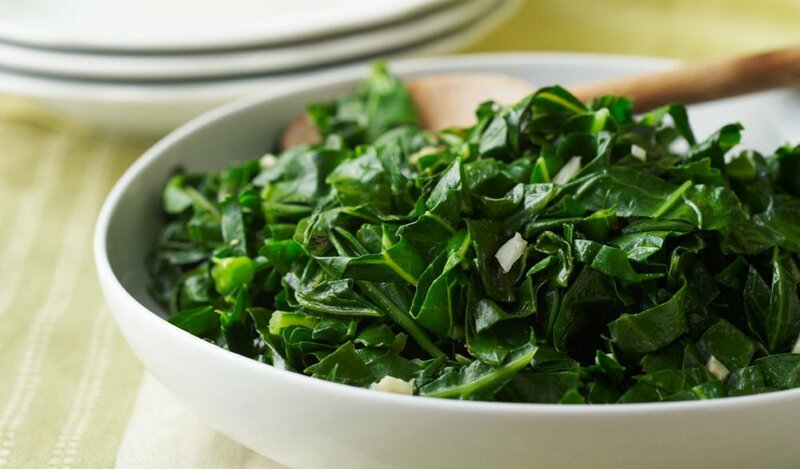 It's the first GREEN pick-up week, so to mark the occasion, here are some ideas for how to cook greens! Blanching greens means to dunk them quickly in salted boiling water and then cool them down just as quickly with a dive into ice water or a bit of time under cold running water. Braising means to cook something slowly in a bit of liquid. Tougher, heartier greens like kale and collard greens respond extremely well to some long slow heat in an enclosed environment. Sauteeing greens in a frying pan over medium-high to high heat with a bit of butter or oil (and perhaps garlic!) is a quick and tasty way to serve them.